When making a significant purchase, you do your homework. Consumer reports on electronic gadgets to safety ratings for cars and inspection of a new house are all part of your homework. Why wouldn’t you think you should do the same with insurance? It’s not. Not all insurance companies are all financially equal. That can cause some problems in the future for claims. To do your homework about the financial strength of the insurance company, go to A.M. Best Co. They are an independent provider of insurer ratings. Most insurance companies provide similar coverage, but every insurance company is different. That can mean unique conditions and limitations. Every company is different and that means different standardized policies for handling claims and basic customer service calls. You can go to your states Department of Insurance to find out where you company ranks with customer complaints. Contact us and we will work with you on how we can save you money based on your lifestyle or any other possible changes to your deductible. We can also shop around for you to find the policy that fits your needs. We knew you are busy looking towards Santa Claus but you may forget to look at the accidents that may seize you at your party times. This Christmas winter may drain you at times. Californians, being an imaginative lot, have come up with a whole batch of variations on Christmas traditions and some new ones of their own, too. Boat parades are so much fun for us, if you own a boat, you can join the parade, but even if you don’t, you can book a seat on one of the party boats that park themselves in the middle of the action. In this case if your boat going to be there at parade be precautious let you not lose your boat due to any accidents may be any damage that may cause due to little clashes between the boats. 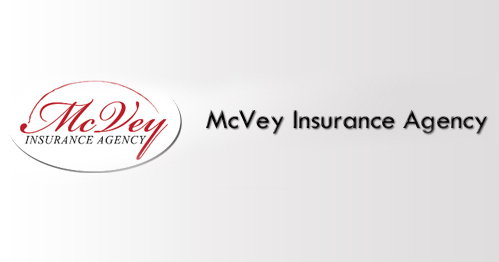 McVey Insurance offers you the boat insurance that helps you to proceed with a happy Christmas celebration. Whether you like the water warm or cold, fresh or salty, there’s nothing like being out in your own boat on the open water – or at your secret fishing spot. Maybe you like to harness the wind in your favorite sail boat? Or, feel the power as you throttle up your twin outboards. Boat insurance allows you to protect your boat and passengers against liability and damage in the event of an accident without busting your budget. Our specialized team will help you identify the right coverage for your boat insurance needs. McVey Insurance policy can provide insurance for your boat. Let us provide you a free online Boat insurance quote that gives you the right protection for your investment, or call one of our boat specialists for a free quote today. Contact us today or come connect with us on our social sites; Facebook, LinkedIn, and Twitter!